GeoLinks employees are literally putting out fires as they strive to replace damaged telecom sites throughout the area where fires are destroying homes and threatening lives in Southern California. The company, based in Camarillo, which is in Ventura County, has been working around the clock since the Thomas Fire started on Dec. 4. At times, workers have used the fire extinguishers stored in emergency packs in company vehicles to douse hot spots they see along the way to fixing infrastructure. As of Dec. 14, the GeoLinks team—some of whom have lost or damaged homes—had repaired 12 sites that were destroyed throughout Ventura and Ojai, accounting for more than 500 square miles of coverage area. The company uses licensed and unlicensed gear from Mimosa Networks. The company is in close communication with fire, police and National Guard teams so they know when it’s safe to go into a particular area for repairs. On Thursday, the fire took the life of a fire apparatus engineer from San Diego, the second death attributed to the blaze. Olson estimated 40 GeoLinks people are out working in the field; the company employs about 60 and growing. In some cases, the GeoLinks gear was up and running and able to provide internet service to customers even before their electricity was restored, GeoLinks President Ryan Adams told FierceWirelessTech. That said, “we’re never going to put our employees in dangerous situations where we think they can get hurt,” he added. Mimosa’s gear works at 11 GHz licensed and 5 GHz license-free. Depending on the situation, a service provider could get Mimosa’s low-cost gear in the 5 GHz band out into the field right away, according to Mimosa co-founder and CMO Jaime Fink. Alternatively, if a client has more time, they can apply for a 11 GHz license, which may take three to four weeks per link. Positioning itself as a disrupter going up against the “big four” carriers, GeoLinks was founded in 2011 and started offering fixed wireless internet to rural homes and people in the area who previously didn’t have access to high-speed internet, according to Adams. GeoLinks’ customers include residential and business customers; the company got its start in Ojai, which its where co-founder and CEO Skyler Ditchfield was born and where many employees live. Ojai, population around 7,461, has been particularly hard hit by the fires. Mimosa Networks, the provider of 5G Fixed wireless solutions, has announced that it is teaming with GeoLinks, a California-based communications service provider, on a number of statewide projects to revolutionize internet access at underserved government, educational, and healthcare organizations, the company said.  GeoLinks, named one of America´s fastest growing companies by Inc. Magazine, is connecting these previously unreached organizations by providing ultra-reliable, fiber-fast broadband throughout the state of California and beyond, using pioneering wireless broadband technology from Mimosa. On Catalina Island, for example, GeoLinks successfully deployed Mimosa´s fiber-fast broadband solutions to bring high-speed internet access to the island community for the first time in its history. Taking into account the unique location — 41 miles offshore — and leveraging the existing infrastructure, a team of engineers considered a number of advanced options to tackle the challenge of connecting the island to the mainland. GeoLinks ultimately selected Mimosa for the last mile of the installation, deploying Mimosa A5 access and C5 client devices throughout the harbor town of Avalon. Speeds on the island are typically 300 Mbps, and the ultra-fast broadband connection provides support for essential communications services, tourism services, and commerce. Back on the mainland, GeoLinks is actively addressing one of the state´s most critical infrastructure needs — connecting rural schools to the internet. In order to help these schools provide the highest and most advanced educational services to their students, GeoLinks again turned to Mimosa solutions to reach these hard-to-reach customers. Thanks to Mimosa´s ease of use, reliable performance and Gigabit-plus connectivity, Geolinks will be continuing its rapid deployment to rural school customers. Mimosa Networks is the provider of next-generation, Hybrid Fiber-Wireless fixed access broadband solutions. Founded in 2012, Mimosa is based in Silicon Valley and deployed in over 130 countries worldwide. It doesn’t matter whether you’re a telco, a cable company or a software giant with designs on the ISP market, everyone is hoping that new wireless solutions will cut the cost of providing broadband to large sections of the country. The big question is: How much juice does new wireless tech actually have? And is it enough to make rural broadband deployments cost effective? Service provider GeoLinks and technology vendor Mimosa Networks Inc. , two partners on the fixed wireless frontier, are very bullish on the technology’s promise. How bullish? In working with the Schools, Health & Libraries Broadband Coalition (SHLB), GeoLinks CEO Skyler Ditchfield says he believes fixed wireless technology can be used to reduce the amount of money needed to connect underserved anchor institutions across the US by up to 70%. That could go a long way to helping close the digital divide, and it could even kick off new competition in some markets where service providers traditionally haven’t cared to venture. As partners, GeoLinks and Mimosa have experience in delivering broadband to far-flung places. For example, Ditchfield notes that GeoLinks has built out service to a couple of dozen rural schools in the last 18 months, and that many of these deployments rely on solar- and wind-powered telecom relay stations with wireless links that range from 25 to 58 miles. Ditchfield also recalls a recent deployment where an island off the coast of California needed help to improve the reliability of local Internet. In that case, the issue wasn’t so much the distance the wireless signal had to travel, but the fact that, in order to provide backhaul capacity for the island’s Internet service, the signal had to reach across water from the mainland. Unfortunately, the effects of temperature and air pressure caused the signal to bounce and bend off the water in unexpected ways, disrupting connectivity on a daily basis. “If you’re looking on a hot day down the road and you’re looking at a distance and you see those heat waves where the light starts to bend a little bit, that mirage effect, that’s basically what’s happening with the radio frequency signals as well,” explains Ditchfield. GeoLinks and Mimosa solved the issue by dropping wireless equipment to two separate locations on the island, with a fiber run in between, and creating redundancy to counter the interference. Now when one link goes down, the local ISP fails over to the second link. For future fixed wireless broadband expansion, there is still the issue of finding enough available spectrum to meet bandwidth demand. However, the good news is that companies that are providing fixed wireless services don’t necessarily need to compete with mobile providers for some of the most coveted spectrum real estate. Mimosa Chief Product Officer Jaime Fink and others are lobbying the Federal Communications Commission (FCC) to open up more mid-band spectrum, and Fink says that while frequencies in the 3.7GHz band aren’t ideal for mobile services, they are a viable option for fixed wireless connections. The FCC issued a Notice of Inquiry to study opportunities for mid-band spectrum in July. There’s long been a question of whether fixed wireless service will eventually be a cable killer, ending cable’s long dominance of the home broadband sector. Even beyond rural markets, if fixed wireless technology can cut the cost of deployments and still deliver high-speed Internet, it has the potential to radically shift market dynamics. However, even if wireless technology becomes the preferred solution for last-mile broadband delivery in the future, it won’t negate the need for wired backhaul. Fink points out that even though wireless links can span 50 miles and beyond, the more common scenario is to have a fiber connection within five miles or so of end users in order to support fixed wireless service. Fixed wireless isn’t likely to kill cable, nor to let telcos off the hook for fiber. But it could still open up a lot more opportunity for broadband expansion and specifically for reaching unserved and underserved rural communities across the country. https://geolinks.com/wp-content/uploads/2017/09/Screen-Shot-2018-01-31-at-12.12.15-PM.png 672 1166 Lexie Smith /wp-content/uploads/2018/01/GeoLinks2.png Lexie Smith2017-09-25 20:50:252019-02-11 16:17:25Can Fixed Wireless Fix Rural Broadband?